Over the past four years Ballymaloe LitFest has become a hub where food and drinks enthusiasts from all over the world come to meet, share ideas, and take part in a celebration of food and drink writing. However, festival organisers have announced changes for the fifth annual Ballymaloe LitFest, which runs from Friday 19th to Sunday 21st May 2017. Next years’ festival will focus minds and thoughts on the question of responsibility – our responsibility as cooks and eaters. To that end, LitFest will still be called LitFest, but the ‘lit’ in the title will now refer more generally to food and drinks literacy, and not the narrower focus on food and wine writing as suggested by the original festival title – a little less about books and a lot more about understanding the impact of food choices on our health, our environment, our wellbeing and our economy. Once again, LitFest 2016 brought a host of culinary champions to this beautiful corner of East Cork, with talks and demos from the likes of Francis Mallmann, Nick Balla and Cortney Burns of San Fran’s renowned Bar Tartine restaurant, Katie Sanderson, and Janis Robinson. 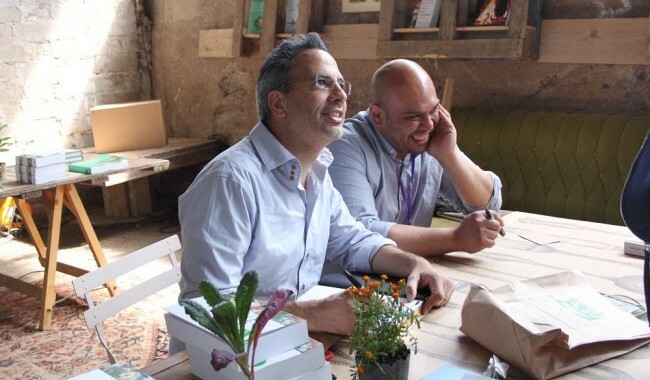 Some of the best restaurants, in Ireland and abroad, popped up at Ballymaloe too, including the River Cafe, with head chef Joseph Tivelli, MEWS restaurant of Baltimore, and NOPI, with Yotam Ottolenghi and Ramael Scully. The line up for LitFest 2017 is shaping up to be just as inspiring. Brian McGinn, director of the Emmy-winning Netflix documentary series Chef’s Table, is one of the participants confirmed for the festival, as is Slovenian chef Ana Roš of Hiša Franko in Kobarid, a chef with a very personal food philosophy of territory and season, who has been quietly revolutionising Slovenian food. British chef and cookery writer Margot Henderson is also attending. Margot runs the caterers Arnold & Henderson, is the co-patron and chef of Rochelle Canteen in Clerkenwell, and is married to fellow chef and restaurateur Fergus Henderson. Margot will be cooking one of the pop-up lunches at LitFest 2017, which will be one of the most sought after tickets of the weekend. The other pop-up lunch at next year’s LitFest will be cooked by Dublin-born Robin Gill whose string of innovative and exciting London restaurants – The Dairy, The Manor and Paradise Garage – has made him one of the hottest chefs in London. Jacob Kennedy also comes to LitFest 2017, chef patron of Italian restaurants Bocca di Lupo in Soho and Vico on Cambridge Circus, ice cream parlour Gelupo, and his latest project, soon to open, a pub serving Cajun and Creole cuisines called Plaquemine Lock. Making a welcome return visit to LitFest 2017 is Claudia Roden, the beloved Middle Eastern cookbook writer and cultural anthropologist. 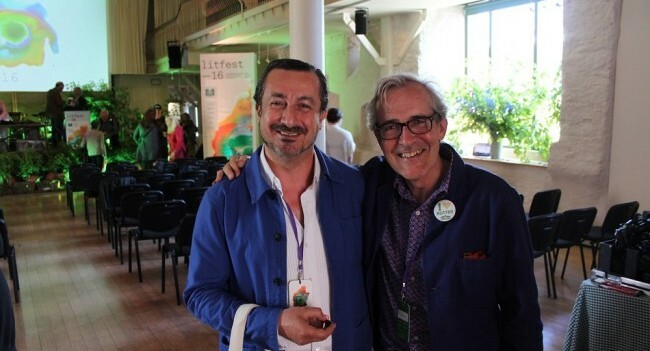 LitFest 2016 aimed to focus minds and thoughts on the question “Our food – what’s the story?”, and saw visiting writers, experts and authorities taking to the stage in The Grainstore in a series of TED-style talks that ran throughout the weekend in a bid to answer this question. LitFest 2017 hopes to expand this strand of the festival, and The Grainstore will again serve as an exciting auditorium at the centre of the festival, giving attendees fresh insights and questions to think about, while continuing to celebrate food and drinks writing. The festival is now officially called the Ballymaloe Food and Drinks Literacy Festival, or LitFest, and you can follow the hashtag #LitFest17 on the weekend. The full schedule of participants and events will be announced in early January, with tickets for all the events also available from Monday January 9th. Vouchers for Ballymaloe LitFest 2017 go on sale on Monday December 5th, to be used to purchase tickets once they go live in January. For further updates and information visit www.litfest.ie. To get a sense of the atmosphere and the action at LitFest 2016 read TheTaste round-up HERE.